Replacement Headband for Plantronics CS60 wireless headset. 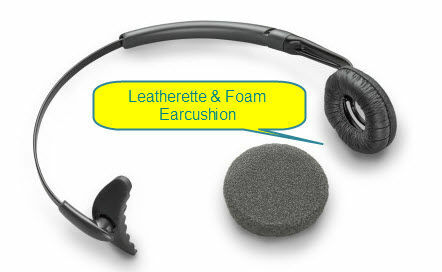 Complete with leatherette and foam ear cushions. Part No: 66735-01. The leatherette ear cushion on one side presses on your ear gently while the other side rests on your head above your ear.